On a make-or-break night for Kentucky’s Patrick Towles, the junior quarterback rose to the occasion by throwing two touchdowns and running for another in Kentucky’s 21-13 victory over 25th-ranked Missouri Saturday in Lexington. The victory was the Wildcats’ first over a ranked opponent since 2010, when UK upset a South Carolina team who came into Commonwealth Stadium ranked 10th. Missouri’s loss ended an 11-game road win streak for the two-time SEC East defending-champion Tigers. After a frustrating performance a week before against Florida, Towles connected on 22 of 27 passes for 249 yards, hitting receiver Dorian Baker and tight end C.J. Conrad for the two passing TD’s. Towles tucked the ball on 3rd and 9 for a 14-yard score to tie the game at the beginning of the second quarter, completing a nine-play, 82-yard drive. Missouri defense entered the game as the conference’s best statistically and fourth-best nationally. 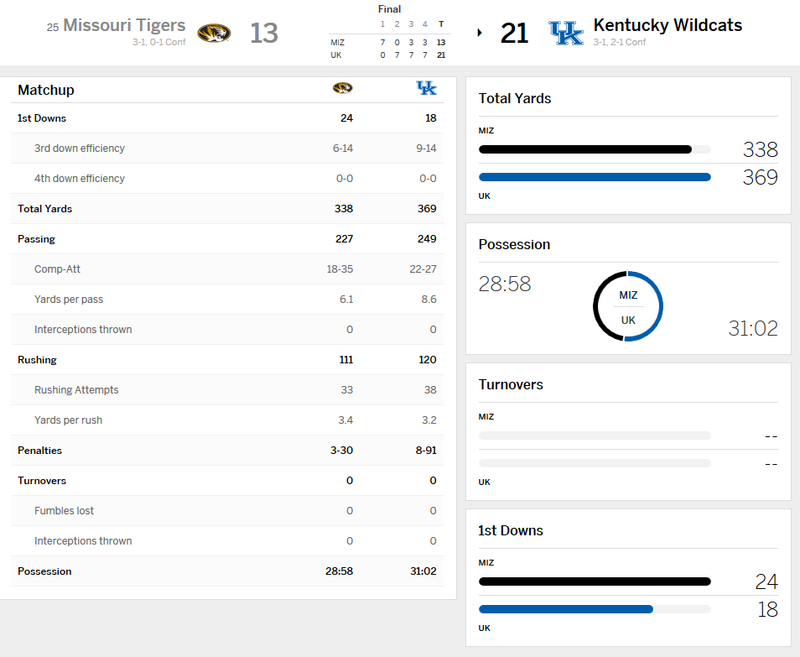 But Kentucky’s offense stepped up in a huge way, moving its overall record to 3-1 and 2-1 in the SEC East. Following the game, UK head coach Mark Stoops had some positive feedback for his starting quarterback. With the win, the Wildcats moved a step closer to becoming bowl eligible for the first time since 2010. More exciting for the Big Blue Nation is the amount of winnable games left on the schedule, which includes home games versus Eastern Kentucky, Auburn, Tennessee, Charlotte and Louisville; and away games at #21 Mississippi State, Vanderbilt and #8 Georgia. Eastern Kentucky (2-1, 1-0) convincingly beat Austin Peay 51-3 in Richmond, marking their first conference win. 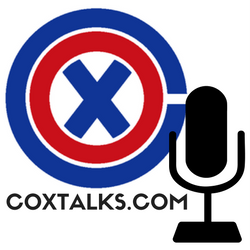 Outlook: The Colonels do not have enough talent to hang with Kentucky, especially at Commonwealth. 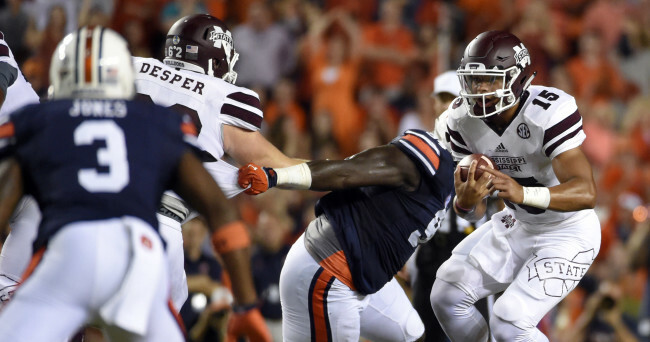 Auburn (2-2, 0-2) lost at home to Mississippi State (3-1, 1-1). Auburn entered the season ranked sixth nationally, but after escaping close games against Louisville (31-24) and Jacksonville State (27-20 OT), the Tigers have dropped out of the polls after losing two straight (lost 45-21 at LSU in week 3). Outlook (Auburn): Entering the season, the Thursday night match-up between Kentucky and Auburn on Oct. 15 looked like a much bigger challenge for the Wildcats. But with a rowdy crowd anticipated for the program’s first Thursday night home game, and several unanswered questions for Auburn, this will be a highly competitive and seemingly winnable test for UK. Outlook (Mississippi State): The Bulldogs lost six offensive and seven defensive starters from a team that went 10-3 last season. Kentucky was competitive with then-ranked #1 Mississippi State at home last year where they lost 45-31. The level of depth and talent has improved significantly for the Wildcats in 2015; but Mississippi State will be a tough match-up for UK in just the second road game of the year. I’m predicting Mississippi State gets the best of Kentucky in Starkville, but it should be a close game. 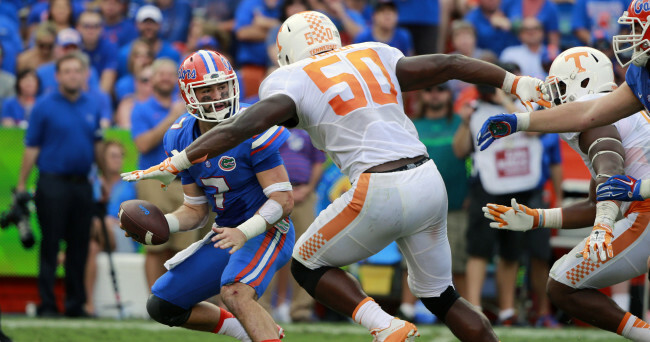 Tennessee (2-2, 0-1) suffered a heartbreaking loss to the Florida Gators in Gainesville, 28-27. Outlook: It certainly helps Kentucky’s chances playing at home and at night against the Vols this year on Halloween. Tennessee crushed a depleted UK team last season, but knowing both the ‘Cats and Vols were both just a few bad plays from beating Florida in 2015 makes me think this game will be a lot closer in Commonwealth. # 8 Georgia (4-0, 2-0) routed Southern 48-6 in Athens last Saturday. The Bulldogs have yet to see a ranked opponent in 2015, but that will change when they play host to #13 Alabama on Oct. 3. Outlook: Georgia is the toughest remaining opponent on the Wildcats’ schedule. Kentucky’s defense has been much improved through the first four games, but Georgia’s balanced attack of quarterback Greyson Lambert (1st in the SEC in QB rating) and running back Nick Chubb (2nd leading rusher in the SEC) will create some challenges. It’s hard for me to predict a blowout for the ‘Dawgs before we’ve seen them play a legitimate opponent, but if Georgia can hand Alabama its second loss of the season, UK may have their hands full on Nov. 7. Vanderbilt (1-3, 0-2) surprised some people with its overall effort in a 27-16 loss to #3 Ole Miss in Week 4. Outlook: Kentucky fans and analysts have already predicted a win on Nov. 14 in Nashville, but the Commodores should not be overlooked. Kentucky certainly will be a favorite, but Vanderbilt has played much tough against Georgia (lost 31-14) and now Ole Miss. My message for Coach Stoops and the Wildcats: don’t sleep on Vandy. A poor performance in Nashville could lead to a wake-up call if the ‘Dores continue to improve. Charlotte (2-2, 0-2) suffered a 17-7 home loss last Saturday against Florida Atlantic. Outlook: Expect a lopsided victory for Kentucky at home against the 49ers on Nov. 21. Louisville (1-3, 0-1) captured its first victory of the season in defeating Samford 45-3 at Papa Johns’ Cardinal Stadium Saturday. The Cards lost their first three games to #6 Auburn, Houston and #11 Clemson by a combined 13 points. Not many of the Cardinal-faithful anticipated a close loss to Houston in Week 2, but with former Ohio State offensive coordinator Tom Herman taking over the top coaching spot for Houston, the Cougars are coming on strong in 2015. Outlook: Louisville is not nearly as bad as their record shows. Rivalry games are always heated and close between the ‘Cats and the Cards, no matter the sport. But with home field advantage in the last regular season game, Kentucky will have a great opportunity to snap its 4-game losing streak to Louisville. PREDICTION FOR KENTUCKY’S FINAL REGULAR SEASON RECORD: 8-4. Just getting to 6-6 and a bowl bid would be a huge step in the right direction for the Wildcats. But I see three more home wins over Eastern Kentucky, Charlotte and Louisville, a road win against Vandy, a loss at Georgia, and potentially one more win against either Auburn/Tennessee at home or at Mississippi State. An 8-4 record would likely put UK at 4-4 in the conference. Kentucky has not won eight games in a regular season since 1984, when the ‘Cats went on to defeat Wisconsin in the Hall of Fame Bowl the same year.